“These people are bigots,” Spero told the president of the Catholic League, Dr. William Donohue. 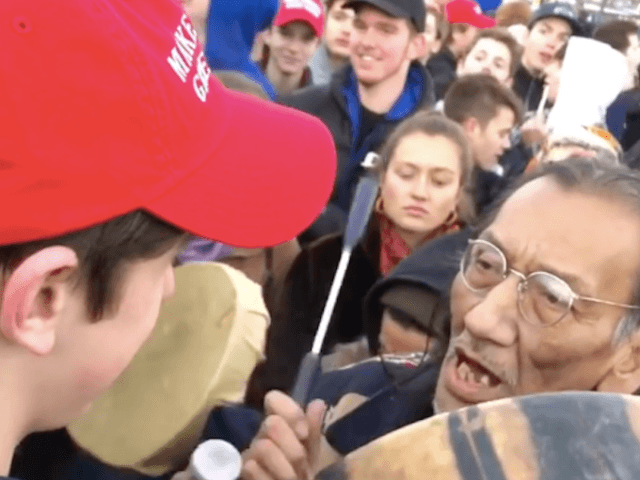 As Breitbart News reported, a short video released on social media last weekend made it appear that a group of students from Covington Catholic High School may have accosted Native American activist Nathan Phillips, whereas more extensive footage from different angles made it clear it was Mr. Phillips who approached the boys and began playing his drum provocatively in the face of one of them. Moreover, the alleged “victim,” Native American Nathan Phillips, led a group of about 50 activists into the National Shrine of the Immaculate Conception in an attempt to disrupt the celebration of Mass on the evening of January 19. Nonetheless, the mainstream media accepted his account of events at face value and rushed to publish a vicious attack on the boys, without bothering to ask the students what had happened. “It is all part of the anti-Christianism by many segments in today’s leftist America and media collaborators,” Rabbi Spero said. “If they could, they would physically beat up Catholics and take away their jobs and livelihood simply because they are white, conservative, and people of biblical faith,” Spero said. “They are consumed by hate. Who taught these people to SO hate white, religious Americans?” he said.